Oh and don't forget to enter my $75 Pink Blush Giveaway! Oh my days you look beautiful darling! And your hair!! Would love to see a tutorial on this! Your bump looks gorgeous too! Such a pretty dress! It looks lovely on you. Thank so much for joining our first Link Up today! You are stunning, mama! That hair and the floral is so gorgeous and springlike. So glad you linked up! you look so beautiful and I love love love your hair!! Pregnancy is beautiful on you! You look amazing, that print is just spot on! Your hair is absolutely stunning! You should do a hair tutorial of the braid you are wearing. 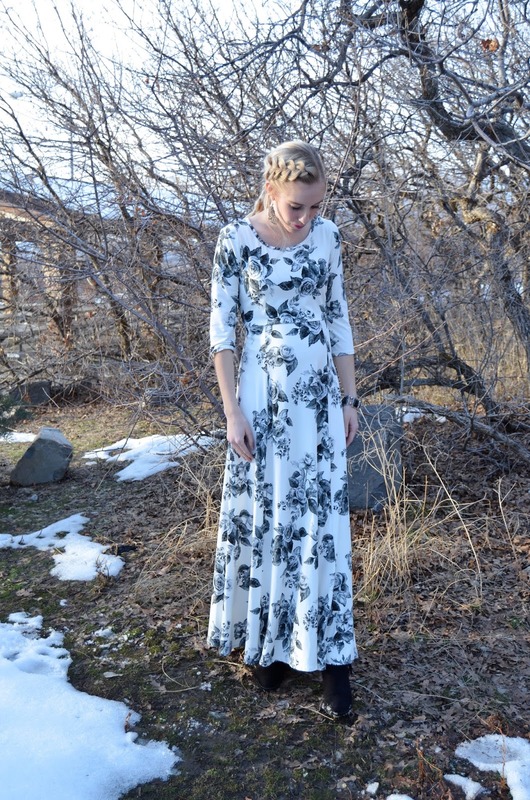 This dress looks so comfy and darling...two pluses for pregnancy! I don't even know where to start! I love your hair and that dress and together they make such a romantic ensemble! You looks so gorgeous! Beautiful dress! What?! You didn't tell me you got that dress! If it turns up missing for a few weeks, I know nothing about it😝! You look fabulous. You have a perf preggy body sister & your hair is gorgeous! Love you! That dress is so beautiful and I love your side braid too! Such a beautiful dress. It looks lovely on you! Love your hair too! Such gorgeous photos!! I love that dress and your hair style. I wish I could braid like a pro. 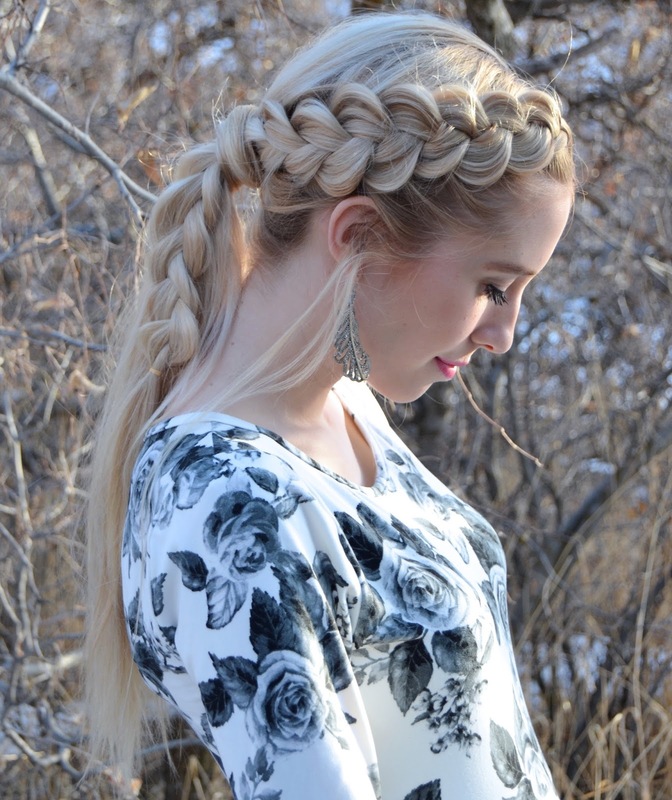 What a stunning dress & omg that braid. Teach me your ways! !